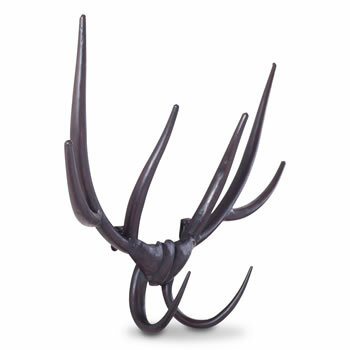 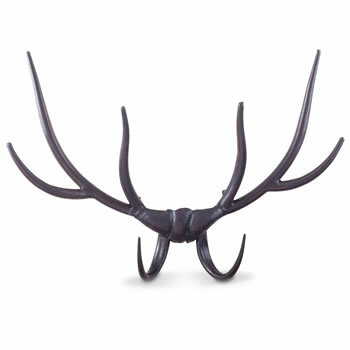 A stylish stag's antler wall mountable coat hook for the home, made from metal with a bronzed finish, H27 x W44 x D9cm in size. Two hooks on back for secure mount to wall or door. Simple but eye-catching and a great home feature, 8 hooks in total.